So, you wanna get ranked better than your competitors on Google? But, what if you don’t know the SEO tips and tricks that will get your eCommerce site to the top? Whether you’re just getting started with a new eCommerce website or improving an existing eCommerce site, this SEO for eCommerce guide provides handy suggestions to boost your product pages SEO. 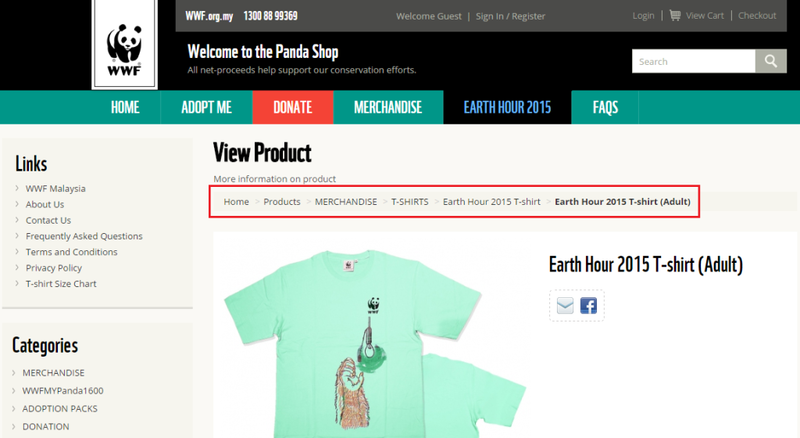 webShaper is an eCommerce Platform Built with SEO in mind. So, how can you make full use of this feature? The purpose of a title and meta description tag is to provide a brief summary of your eCommerce website’s content. Search engines will usually display your title or meta description tags in the Search Engine Result Page (SERP). The descriptions provide an introduction to your eCommerce website so that customers can decide whether to visit your page or skip it. 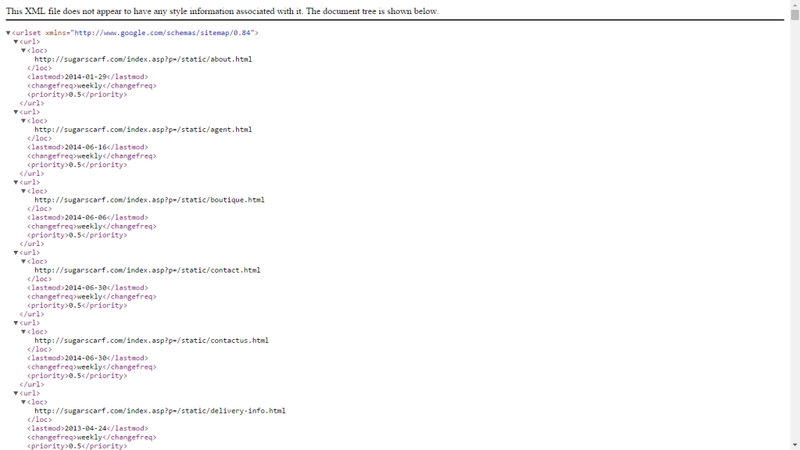 Look for /index.asp?p=/static/index.html link and click Edit. If you are wondering what these title and description tag means and how it can help your eCommerce website rank better, take a look at the image below that shows a SERP. The meta description tag also serves as your marketing copy – so, make sure your meta description tag is good and catchy enough. If consumers are captivated by your meta description tag, they will click in to learn more about what your eCommerce website has to offer to them. 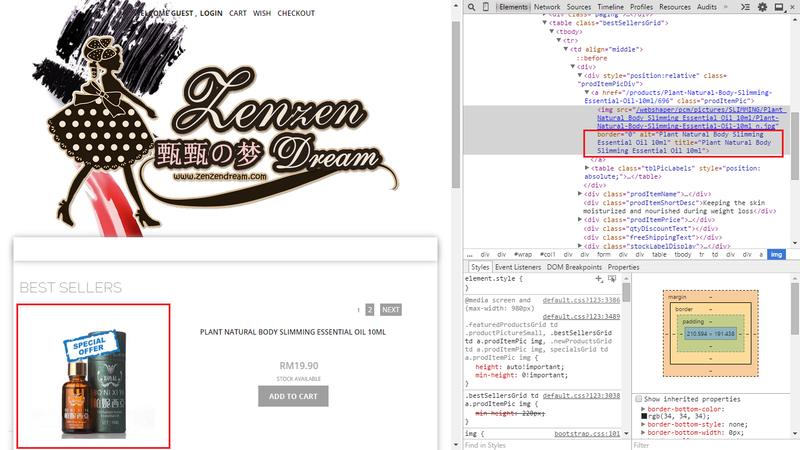 When products are uploaded in your webShaper control panel, a title tag with your product name will be auto-generated. The title element of your product page is meant to be an accurate description of your page’s content – in this case, it’s what your product really is. This element is important to both user experience and search engine optimization. So, every title tag on your eCommerce website product page should be unique with distinct, descriptive titles for every product. Neither meta descriptions nor meta keywords are taken into account in search engines ranking algorithm. But it is extremely important in gaining user click-through from SERPs. This meta description is an opportunity to advertise your products to customers and to let them know that your products are for sale online. You can now edit Custom Meta Description under Edit Product Item. 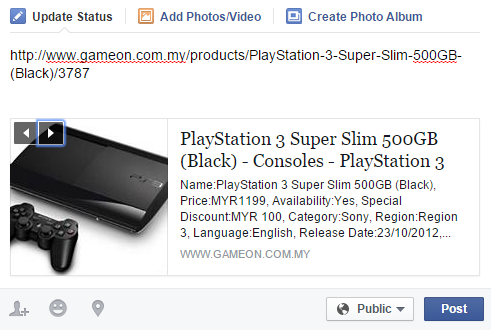 With title tag and meta description tag, your product also looks good on Facebook. And this will eventually help you reach millions of new shoppers when you post this on your Facebook page. Now, what is breadcrumbs navigation? Breadcrumbs navigation used in eCommerce websites allow users to retrace their steps, or go back to a point that refers to their original search. Location-based breadcrumbs like the one shown above indicate to the customers where the current page stands in the hierarchy of the website. This type of breadcrumbs navigation is most commonly seen on eCommerce websites. Upon moving further into a website, customers are provided with links to pages or categories, that act as a “parent” from the page they are currently viewing. 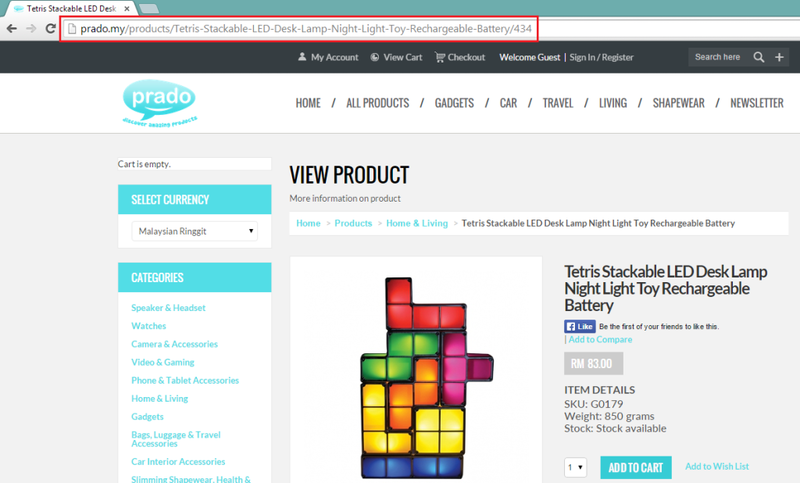 Look at these examples of breadcrumbs navigation in eCommerce websites. Search engines can’t see images on websites – So, even if an image has text embedded within the image itself, search engines are unable to crawl that text. By creating ALT attributes for every image on your site, you gain the opportunity to be more visible online. In simple words, ALT attributes tells search engines what your image is about. 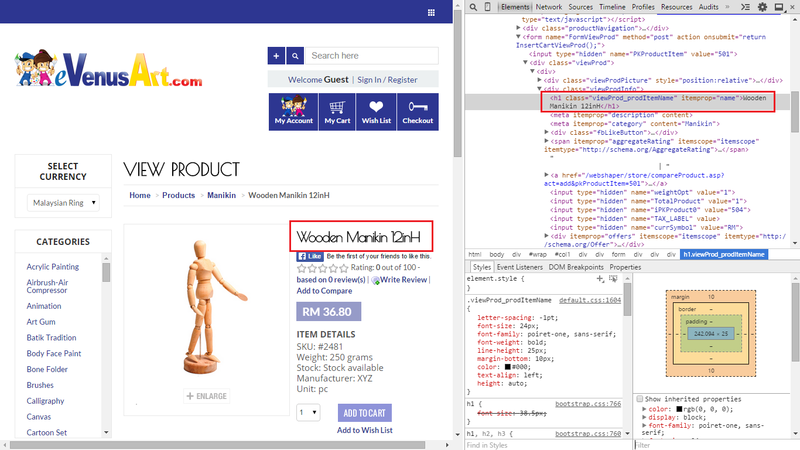 But how do ALT attributes actually help your eCommerce website’s SEO? Search engines use the information that ALT text provides to determine the best image to return for a search query. So, if any customers search for a particular product that you are selling, your product image will appear in the search results. This is a great way to bring new visitors to your site. On a product page, that H1 would be your product name. You are going to ask this: what value do H1 tags have for SEO? H1 tags can improve your search engine ranking. The H1 tag is the most important heading because it’s the highest level tag that shows what your specific page is about. It helps Google to grasp the main topics of your eCommerce website product page. Search engines usually give this tag much more weight or attention over other headings, so it will improve your search engine ranking when used correctly. eCommerce websites generally have a large number of products, and therefore many URL’s within the site. So, it is extremely critical to get your products indexed where search engines can easily capture them. For SEO purposes, it is strongly recommended that eCommerce sites submit all product URLs using XML sitemaps. This way, XML sitemap can be submitted to Google via Webmaster Tools to help them crawl your website better. Click on Google Sitemap and you will see your eCommerce website sitemap files. Learn more about sitemaps from Google. Rich snippets are the additional information that appear with Google search results. 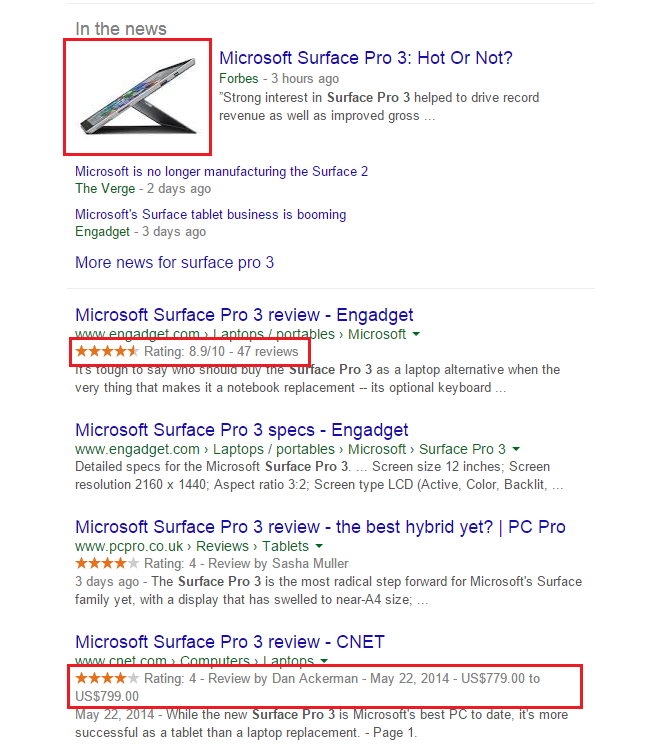 With rich snippets, your product immediately stands out. This is because rich snippets are highly visible and eye-catching, helping users discover sites that are relevant to their search results, resulting to higher click-through rates. In the case of eCommerce websites, rich snippets like ratings, picture and price range can appear for your product pages.